I have to give it to the content industries they are stubborn and they never give up the fight, and that’s one of the only concessions that I will give them, after all I hear our gaols are full of innocent people as well but apparently their arguments are not as nearly as convincing to our politicians. The content industry in general but the music business in particular are always well prepared when it comes to arguing their case for protection from the ravages that technology may inflict upon their industries. I find it amusing that this can create somewhat paradoxical situation in which the models that they today wish to protect were in fact created by earlier technological advances that they had previously tried to hinder and that today’s actions could very well prevent the very thing that will help the music industry flourish into the future and beyond. The content industries have always argued and quite successfully, again I must concede if the legislation that surrounds copyright is anything to go by, that each copy of a piece of intellectual property should have all the same rights associated with it that a physical tangible item does. This was important as technology allowed the average consumer to make analogue copies of others work at little or no cost to themselves that provided no financial reward (read incentive) to the creator and owner of the said copied worked. Unlike the physical tangible item the value of the intangible item was obviously not tangible and that although they sold the customer a physical item, it was actually just the packaging and the medium. In the analogue world the copy that could be created was an inferior one but this never stopped the content creators arguing for and receiving some protections in the form of levies on recordable mediums that could be used for non infringing use, you know the type, creating a mix tape for the car of your legally purchased music. However as pointed out by the content industries these mediums could also be used to distribute others intellectual property to parties that had not paid and in essence this was theft and a lost sale. So in many jurisdictions around the world consumers now had to pay an entertainment tax on their recordable mediums regardless of the intended use of that medium to cover the merely possible actions of consumers. It was pretty clear back then that the music industry was not going to tolerate any loss of income from people stealing (listening) to their product, and thus the foundations were then set in stone. Very soon as new mediums entered the market the content industry attempted to extend this reach of the tax sometimes with more success than others. Just because it was possible to utilize the medium for infringing purposes did not always carry as much weight as they would have liked but over all they had created another income stream and extended the reach of copyright. It was interesting as we moved in to the digital age and the emergence of file sharing that the content industries started to back away from these levies and enter a period of denial of the real motive and reasons for this stance. But it soon became imminent and that there were worried by a possible unintended consequence as people started to equate the levy with tacit endorsement for downloading of music illegally. After all that is exactly what the levy was designed to catch and so rather than accept the reality they just kept pushing for further eroding of consumers rights, while arguing that of course that is not what the levy was for. So and to today and the world has again moved on and the physical medium is being replaced with the cloud, coincidently probably the best content control medium that there is, but this has also resulted in other changes. The creation of cloud hinged on a development that allowed infrastructure to store the huge amount of data required to make this medium possible, the enormous increase in hard disk storage capacity and the consequential drop in price of said capacity did exactly this. But as a consequence it also allowed the consumer access to these larger hard drives just over 10 Years ago, a 10 gig hard drive seemed perfectly fine, but now it is not uncommon for home setups to have storage capacity in the multiple terabyte territory. Where as before the storage mediums allowed us to back up our data, now the disks offer such a minuscule percentage of the hard disk capacity it is no longer viable and more likely we would use another hard disk to back up our data, mind you these uses were never infringing. The other use was of course to transfer our music to other devices but as with hard drives in computers we have also seen this increase in capacity in mobile phones, mp3 players and portable external hard drives and it is these devices that for the majority of us we now get our music from. The car CD player is in decline and the cassette player well I don’t know if it’s dead but surely the last rights are immanent if not. But what of the mediums blank CD’s, DVD’s and cassette tapes? Well obviously these are in decline as well and this is having an impact on guess who? Yes the poor old content industries have been dealt another blow to their revenue streams. This article at ZeroPaid Swedish Copyright Collective – Technology Is Killing the Blank Disc Star reports that copyright collective that collects royalties on blank discs is starting to feel diminishing returns due to the slump in blank disc sales and that the royalty collection agency is scrambling to find the next thing to tax to keep revenue money flowing. It so sounds like an industry innovating and challenging the status quo with new and innovative new products and review streams but no. Income generated from a copy fee built in to the price of recordable CDs and DVDs – and shared among artists and copyright holders – has almost halved over the last two years. 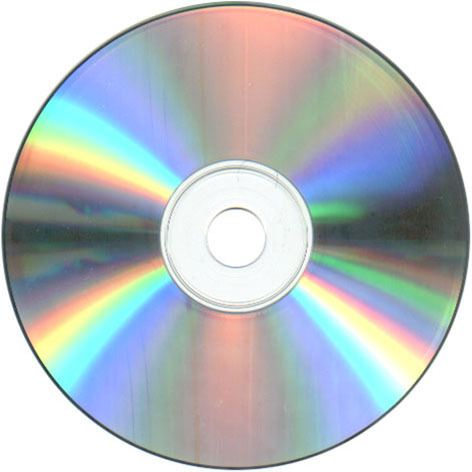 In 2007, sales of blank discs generated 200 million kronor ($28 million) for artists, compared to just 113 million kronor in 2009. “We’re seeing a technology shift whereby the discs in themselves are no longer of interest. File sharers and others have started using different technologies. Things can instead be stored on people’s computer hard drives or their telephones,” Copyswede’s managing director Mattias Åkerlind told news agency TT. 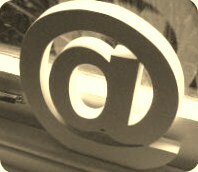 There are also calls by copyright collectives to try to persuade law makers for the need to put a new levy on newer technology such as cell phones; however negotiations have stalled of late, with no support from electronics retailers who oppose price increase on consumer goods such as telephones and hard disks. In an earlier article I wrote of a push to levy ISP’s and how some organizations (SAC, EFF, etc.) having recommended putting a levy on ISPs and allowing file-sharing to continue unabated. It would appear that rights holders are refusing to budge on this one though and it would appear that I am not alone in my thinking on this one. I think ZeroPaid got it spot on with this though “Maybe the elephant in the room is being ignored because rights holders want to have their cake and eat it too (tax consumers and sue them too)”. What do you think? Do you like I feel that the crocodile tears are not nearly moving enough? Leave me a comment love to hear your thoughts. There's a mistake at hand here; the private copy levy is for legal copiyng, while the "sue them too" refers to actions against illegal copying, most likely illegal file sharing. In other words, there's not a case of right holders wanting to "have their cake and eat it too".